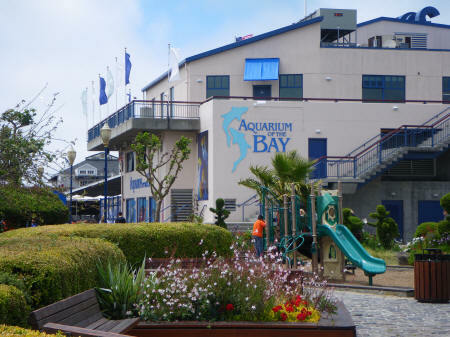 The Aquarium of the Bay is located at Pier 39 in the Fisherman's Wharf District of San Francisco USA. This popular tourist attraction focuses on sea life in San Francisco Bay and the adjacent waters. Visitors to San Francisco's Aquarium can enjoy refreshments on the wharf after visiting the facility.